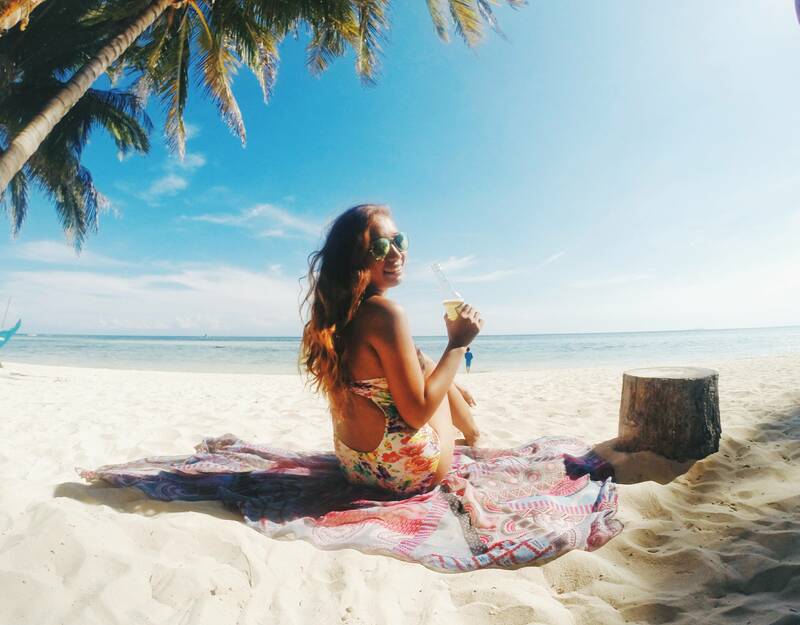 Before summer came in, my family and I planned a trip to Dumaguete, our hometown, and to Siquijor, where my mother's father is from. 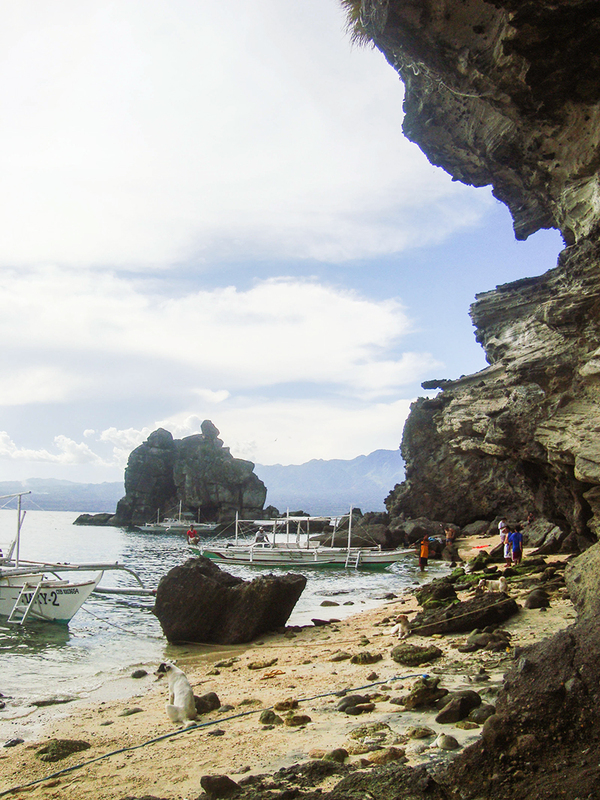 We've been to Dumgauete for a lot of times already but we never had the chance to explore Apo Island in Dauin. 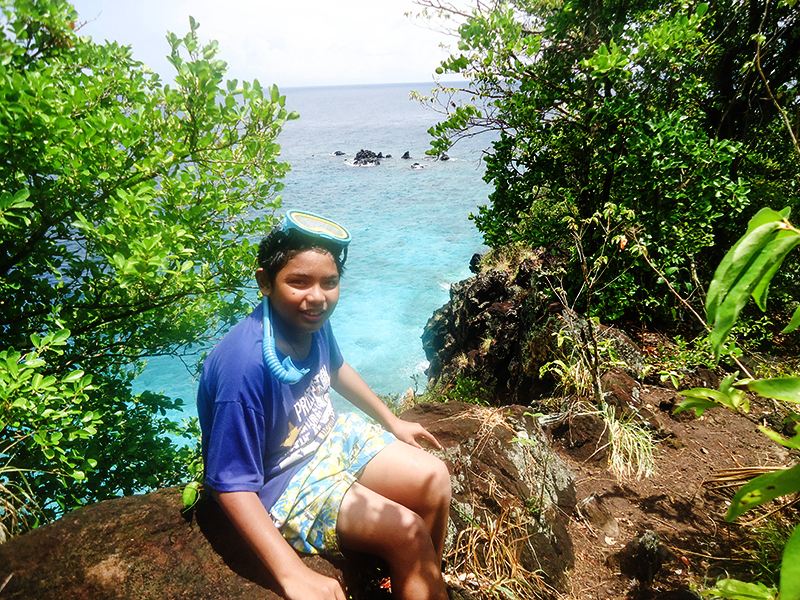 Yes, the incredible Apo Island. Because according to my mom and my titas, the island is shark infested and is not safe to go because the waves are blahblah and blahblah. But now that we're grown ups and are adrenaline junkies, our plans can't be disrupted. 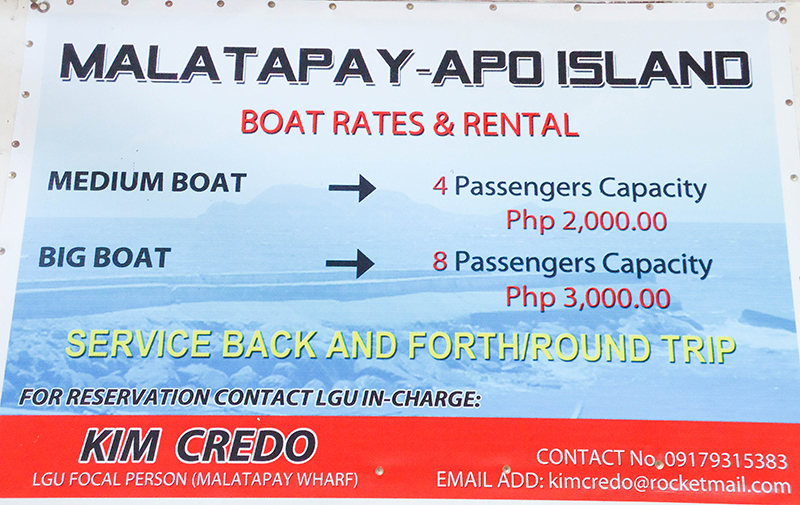 We had a short bus ride from Dumaguete to Malatapay in Zamboanguita for 30.00php, where the wharf towards Apo island is located. 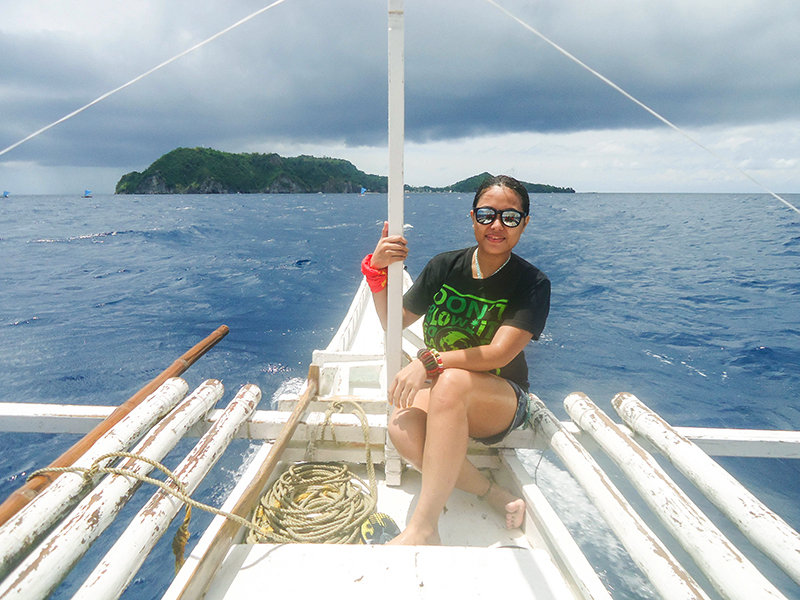 It has been told that a couple of years ago during a fiesta in the island, an overloaded pump boat capsized and since then, the LGU and the coast guards had strictly operated every trip to Apo. 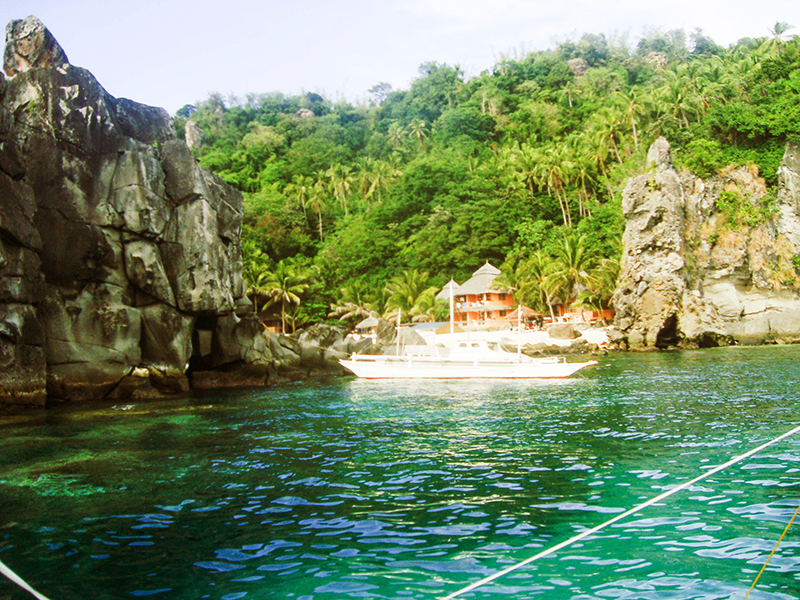 Their pump boats can accommodate at least 4 up to 8 passengers, depending on the size of the boat to avoid overloading. 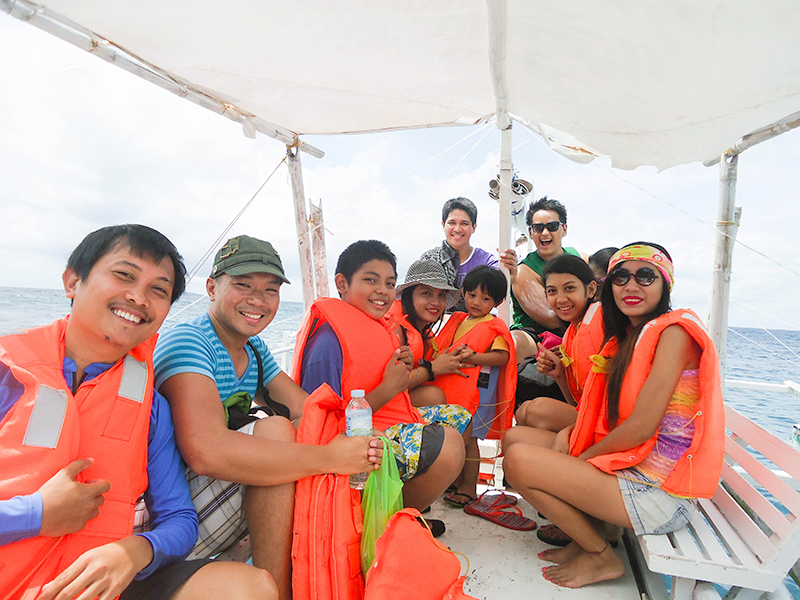 After paying, we're off to the 30-minute bumpy pumpboat ride and braved the waves. 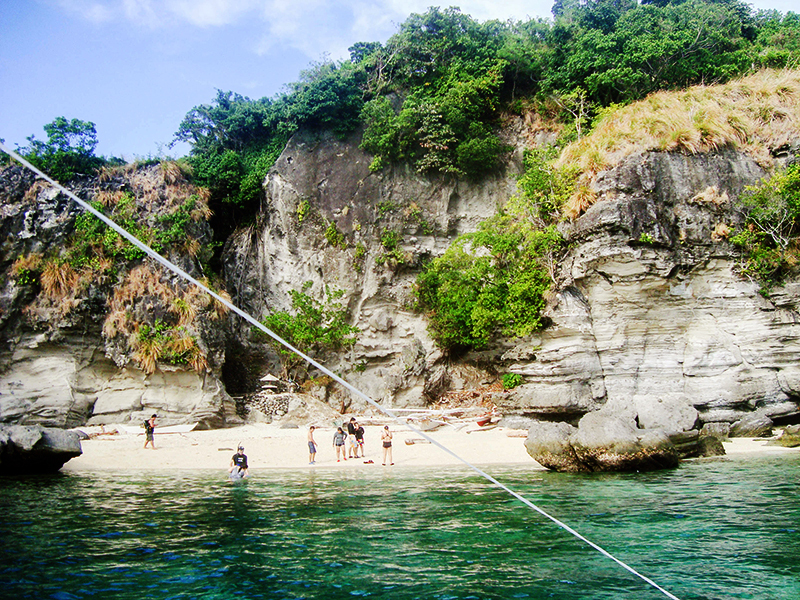 We were thrilled upon approaching the island, getting a close-up view of the different beautiful rock formations and of course, the sparkling white sand. Okay it's not that sparkly on this part. 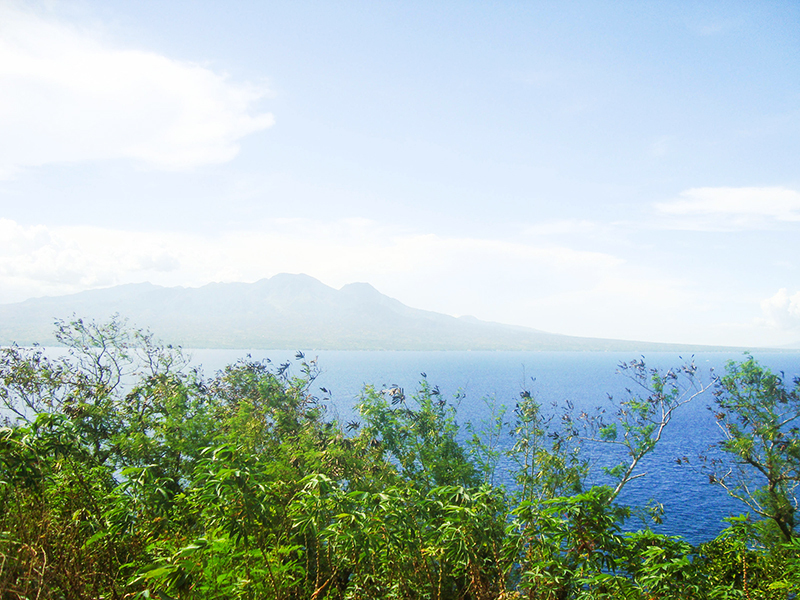 Upon arriving, we paid the entrance fee worth 25.00php only since we told the in-charge that we're locals from Dumaguete. If not, we would've paid an amount of 100.00php. 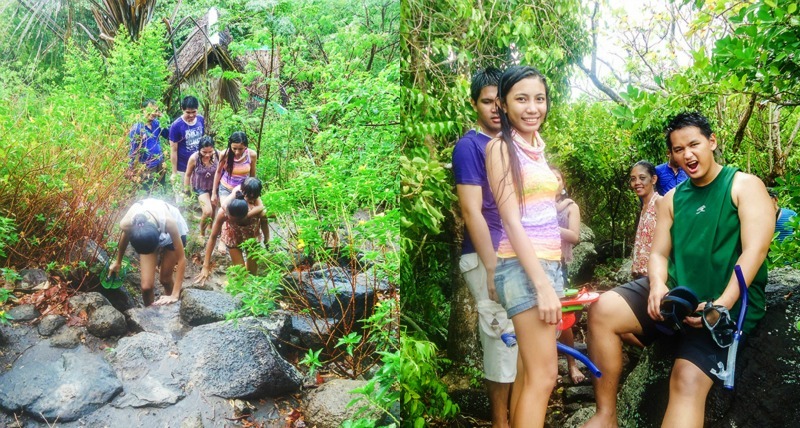 We then explored the island but it rained suddenly so we decided to stop by a cottage near the lagoon and had our lunch. Aaah, perfect view for lunch, isn't it? 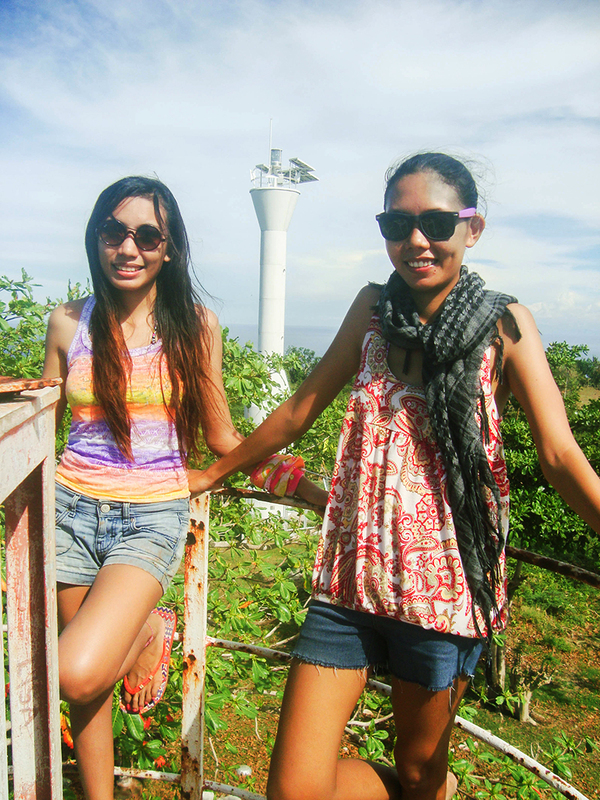 With our stomach full, we trekked a 600-meter uphill terrain towards the viewing deck. 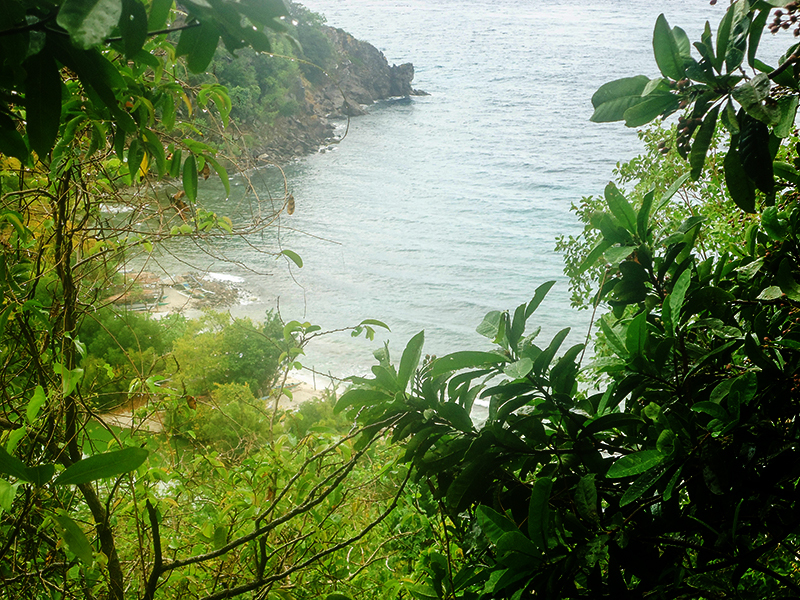 And this is the view while we're hiking. Paradise! 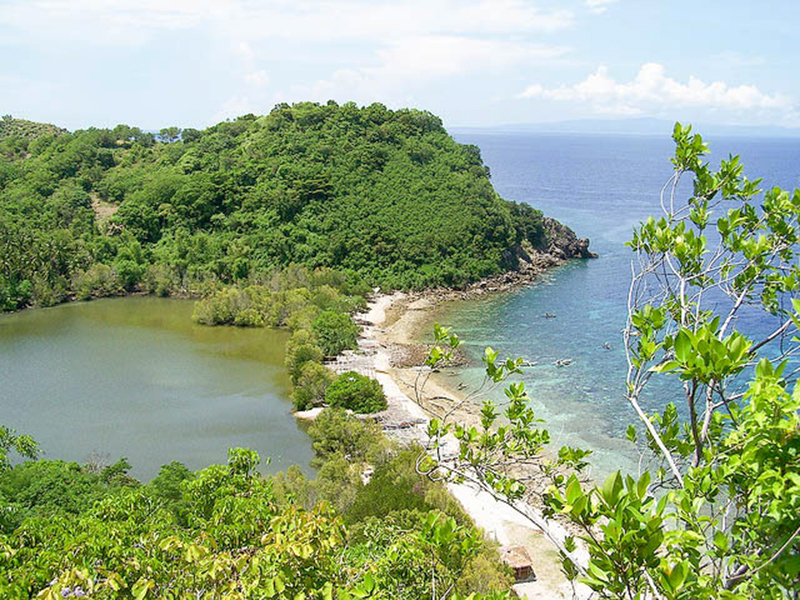 That cove right there is where their marine sanctuary is but unfortunately, it's temporarily closed because it was destroyed by typhoon Sendong and they're currently rehabilitating it. 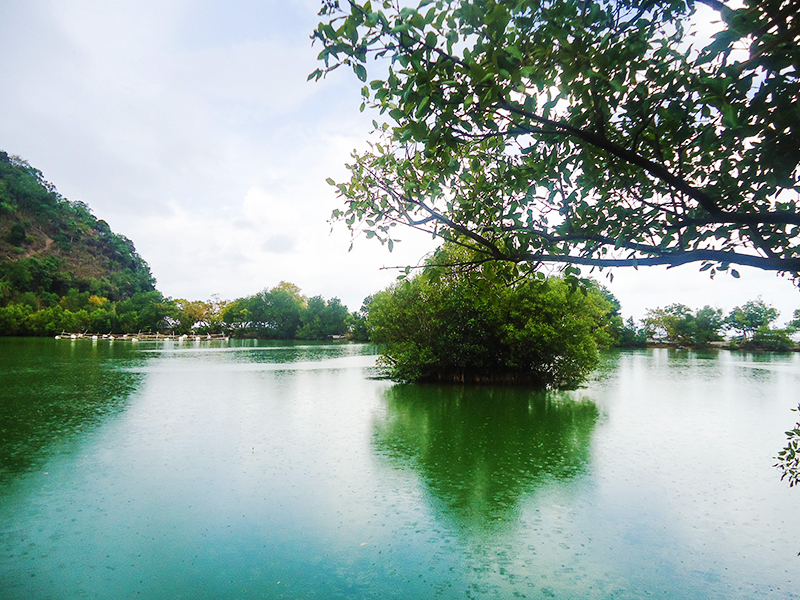 I grabbed a photo from google so you, dear readers, can see the awesome view. The uphill battle was so tiring, 600 meters seemed too long, although I did enjoy it because I miss trekking a lot. Just lacking some practice I guess. My friend and I tried to find a cliff and decided to just jump on the water and swim on our way back since we brought some snorkels but the rocks were so scary below. 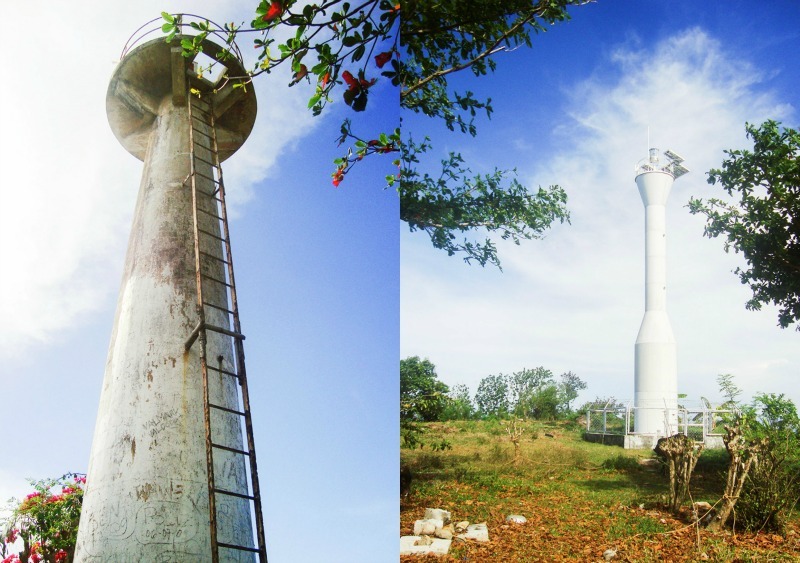 Warmed up by the trek, we went straight to the old and new light houses located at the opposite side of the island while the others decided to spend the remaining time snorkeling. We hiked through concrete stairs, more than 200 steps I think. I was out of breath with the hike and I literally lost it when we arrived. Isn't this so breathtaking? 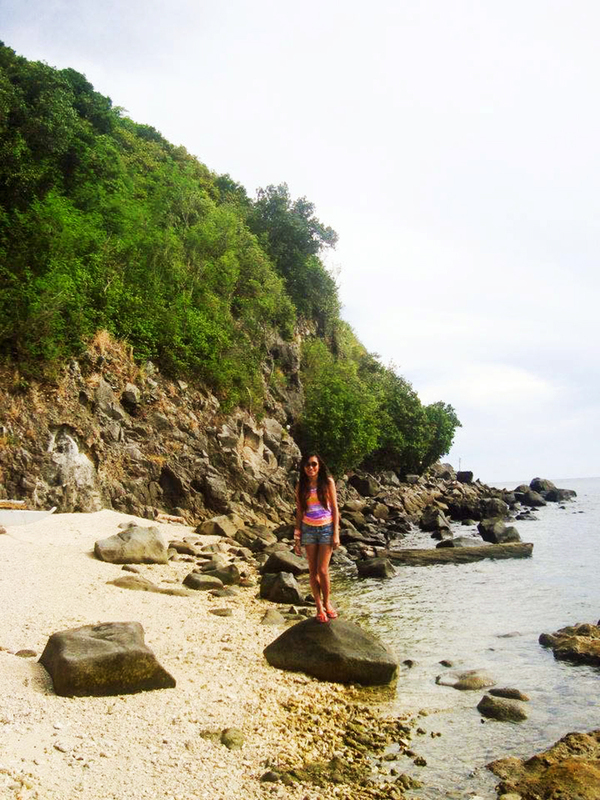 Salty air, sandy hair lang ang peg. We were running out of time so we immediately went back after taking photos for ze blog so that we can at least have some time to snorkel on the front beach, but the sea turtle was already not around when we got there. At least my sibs, cousins and friends saw it. Check out https://www.facebook.com/media/set/?set=a.10200489268091517.1073741834.1151840018&type=1 for more photos. Yes, lots of pawikans there too!